DCNS’ conventional Barracuda-class variant beat out Japan’s Soryu-class and Germany’s Type 216. Australian Prime Minister Malcolm Turnbull announced Tuesday morning that France’s DCNS consortium will be awarded the multi-billion dollar contract to build the 12 submarines that will succeed the Australian Navy’s aging Collins-class submarines under the SEA 1000 Future Submarine Programme. The deal is the largest in Australian defense procurement history. Cost estimates for the final project vary widely, but the deal is expected to be finalized in the range of $30 to $50 billion. The French consortium beat out ThyssenKrupp from Germany and a joint Mitsubishi-Kawasaki offering from Japan. 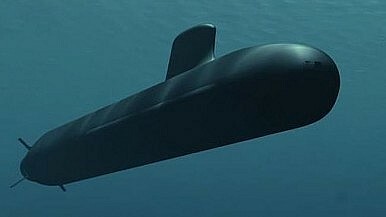 DCNS’ proposal for Australia was regarding a diesel-electric variant of its Barracuda-class nuclear attack submarine (SSN), which is currently under construction for the French Navy. The German offering was the Type 216 and Japan pitched its Soryu-class diesel-electric submarines. As Benjamin David Baker explained in The Diplomat last November, one of the selling points for the DCNS offering was the fact that the French Navy was about to take delivery of the sub in 2017 and would be able to modify the submarine in line with its operational experience. “As Canberra has stated that it plans to replace the Collins by the mid-2020s, this ostensibly gives the French company plenty of time to smooth out any inevitable technical glitches with the subs before they are launched in Australia,” Baker explained. Earlier this week, leaked reports in the Australian press noted that Japan’s Soryu-class submarine offering had been ruled out by the Australian government. The Soryu was long seen as a front-runner for the Collins-class replacement contract and was thought to have been a particularly strong contender owing to increasing strategic affinities between Tokyo and Canberra due to a rising China. With the change of government in Australia last fall, after former Prime Minister Tony Abbott was ousted in an unexpected leadership spill within the Liberal Party, the Soryu‘s position in the SEA 1000 contest declined. Also, as I’d discussed previously in The Diplomat, the Japanese firms’ relative lack of experience in pursuing foreign defense contracts meant that ThyssenKrupp and DCNS held somewhat of a public relations advantage–one that may have become particularly decisive after last year’s change of leadership. Are Australia’s New Subs Already Obsolete? Rapid technological changes in underwater warfare may make the submarine as we know it obsolete by the 2040s.